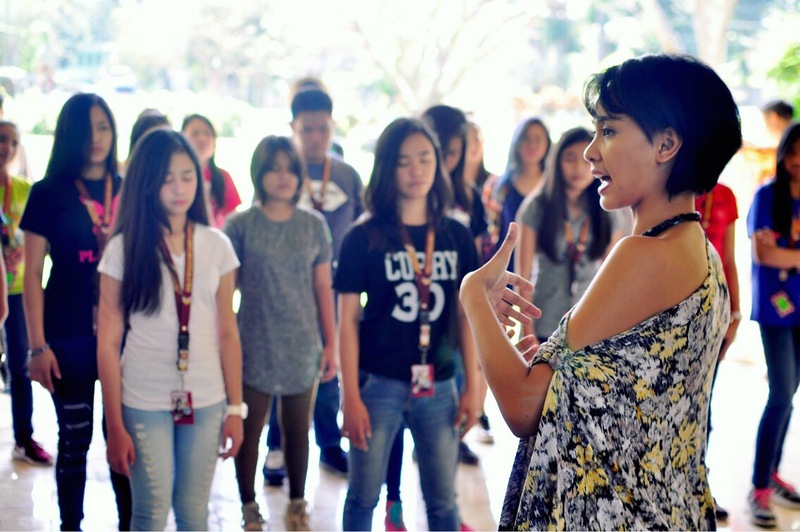 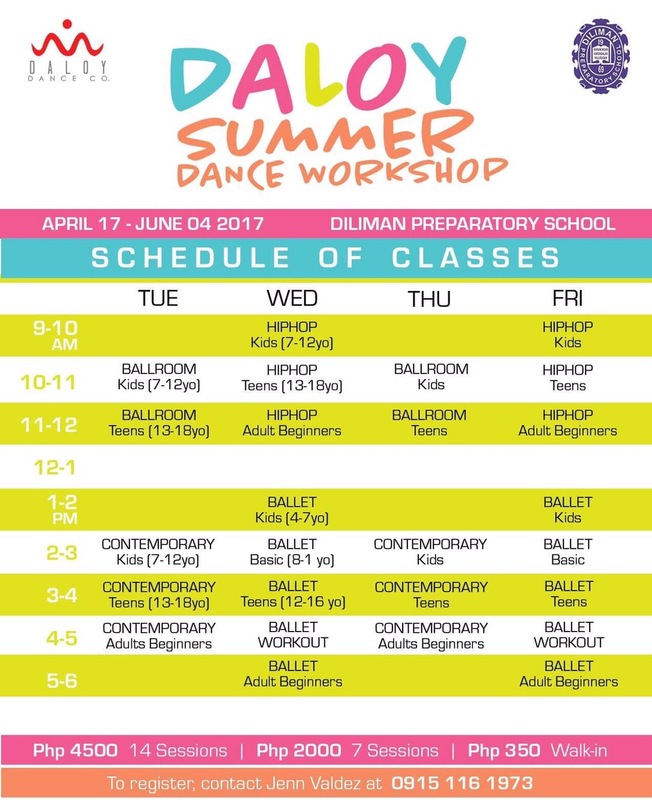 This summer, Daloy Dance Company comes to Diliman Preparatory School for seven weeks of dancing! 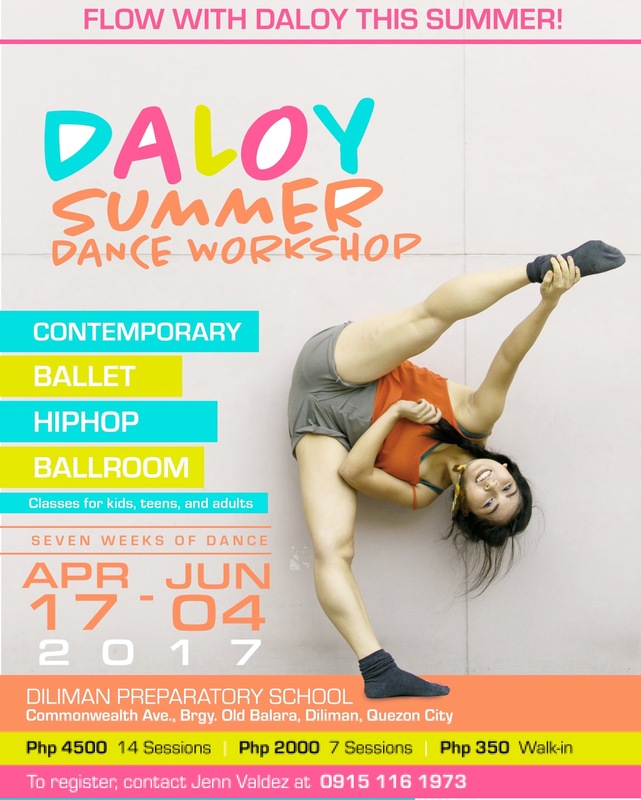 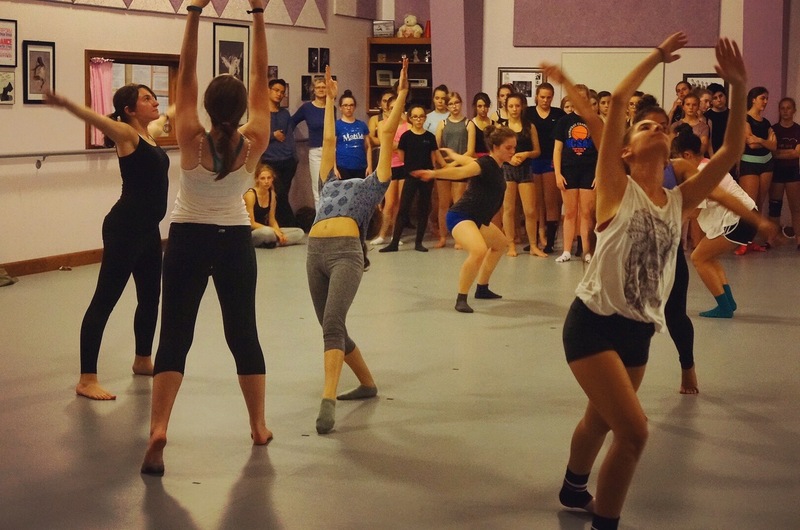 Daloy is offering an array of dance workshops from ballet, to contemporary, ballroom and hip hop and many more for kids, teens and adults- everyone is invited to come and sweat the summer out with amazing music and cool moves. 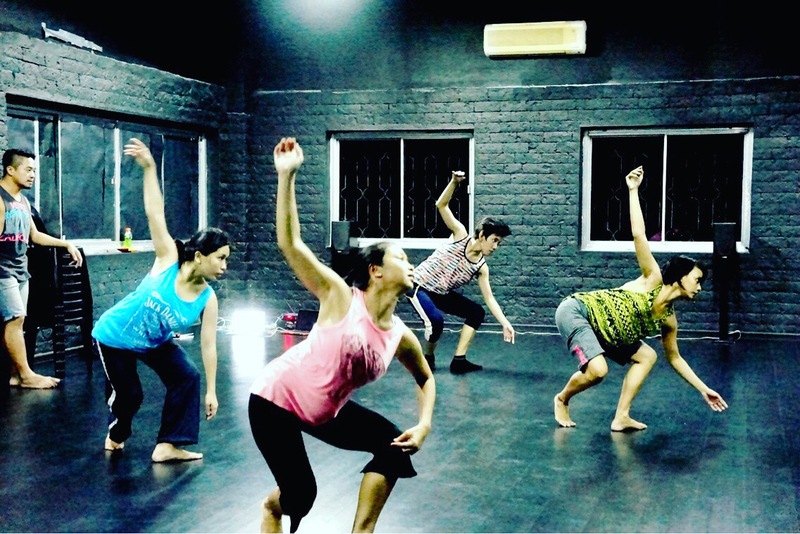 Comfortable clothes (no jeans) two inch heels for ladies, rubber shoes for men.